Syracuse Locksmith Services | Proudly serving the entire Syracuse, New York area and beyond. | The key to your security & locksmith needs! It’s almost a rite of passage to accidentally lock keys in a car. At the very moment the car door slams, the realization hits. You peer through the window and there they sit. So close…within reach if not for a strong sheet of tempered glass…yet locked in the car and helpless. The first step when locking keys in your car is to relax. So long as you don’t have a small child or pet locked inside on a warm day, you can go through options more calmly. However, if the keys aren’t the only precious thing locked inside, it’s time to take fast action. Emergencies present fewer options than a standard car lockout so you’ll want to assess your situation before panicking. If you have a small child who’s unable to work the locks or a pet locked in the car with your keys, then it might be best to dial 911 for assistance if a 24/7 Emergency Locksmith, Car Locksmith, or someone with a spare key can’t be on the scene quickly. If facing a long wait or it’s a hot day that can cause internal temperatures to soar, breaking a side window may be your best option. When breaking glass find something sharp and focus on the glass closest to the edge of the window since the middle is the strongest. Make sure you choose a window furthest away from whomever or whatever is inside that you’re trying to protect. There won’t be shards of glass thanks to the tempered nature, but you’ll still want to exercise caution. If you’re unable or unsure how best to do this, rely on 911 or an emergency locksmith for speedy help. While not recommended due to the damage you can do to the window, door, or car itself since you aren’t familiar with its inner workings, many opt to try. From the good ol’ fashioned coat hanger trick to already having a little unlocking kit in your trunk, people have tried many different techniques to retrieve keys locked in their car. It’s difficult to provide step-by-step instructions because every car model and lock type is different, but expect to do a lot of finagling while exercising a lot of patience throughout the process. Calling 911 can sometimes help but unless it’s an emergency situation, locked keys in a car won’t exactly be a high priority. 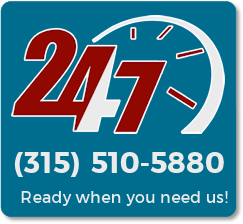 Your best option may be to call a 24/7 car locksmith for fast assistance. Okay, so perhaps this tip is a bit late considering you’ve already locked your only key in your car, but it’s a great tip for the inevitable time it happens again. Through a car key replacement service or a car key duplicating service, you can have an exact match created for emergency situations. Going through a locksmith, like Infinity Lock & Key, usually costs far less than going through the time and expense of a dealer. Plus, where most dealers expect you to bring your car to them, a 24/7 emergency locksmith can come to you at your convenience. Keep this extra key handy in your purse, wallet, or super well-hidden area under the car. Some choose to give a spare to someone close by who they can trust to be on the spot should a lockout occur. Calling a professional if your situation isn’t dire or an emergency is often your best bet. Available 24 hours a day, 7 days a week, our car locksmiths can be on the scene promptly to provide courteous and professional service. You’ll often gain faster entry to your car and will certainly do so without causing damage. Armed with the tools and experience needed for any make and model, our car lockout professionals can have you back on the road in no time. We are dedicated and opened to you 24 hours a day, 7 days a week for emergency and non-emergency situations, so reach out and get a FREE locksmith estimate! Came out to help me. Also very friendly and showed right up. Also willing to work with the price and didn’t have any problem. Great customer service! Why Change Your Door Locks? Winter Burglaries: Are You Protected? We proudly provide locksmith services throughout Syracuse, New York and surrounding nearby areas.